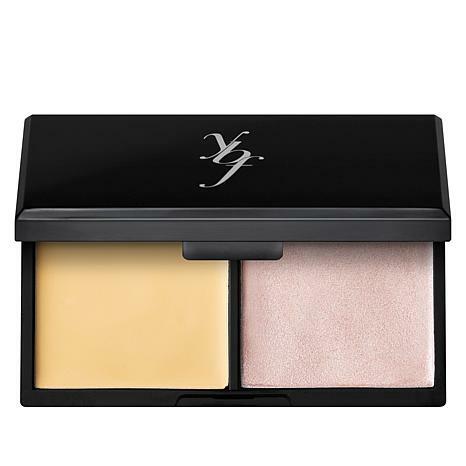 A duo of neutralizing and illuminating creme's designed to help you create a flawless looking complexion. Pat neutralizing creme on lightly, using your ring finger for application. The most flattering way to apply concealer under your eyes is to draw a 'triangle of light' with the base of the triangle under your eye and the point toward your cheek. Apply the illuminating creme above your brows (from the start of the brow to the center of the brow), below your brows (from the start of the brow to the end of the brow), down the center of your nose, top of your cheekbones (from the iris of your eye to the end of your brow line), cupid's bow (center area directly above your lips) and in the middle of your top and bottom lip area to enhance your pout! Ingredients: Neutralizing Creme ingredients: Talc, Mica, Dimethicone, Isopropyl Myristate, Paraffin, Petrolatum, Cera Alba, Ethylhexyl Palmitate, Ethylhexylglycerin, Tocopheryl Acetate, Phenoxyethanol, Iron Oxides (CI 77491, CI 77492, CI 77499), Titanium Dioxide (CI 77891). illuminating Creme ingredients: Cera Alba (Bees Wax), Cocos Nucifera (Coconut) Oil, Mica, Silica, Isododecane, Isononyl Isononanoate, Tocopheryl Acetate, Phenoxyethanol/Ethylhexylglycerin, Beta-Glucan, Caprylic/Capric Triglyceride. May Contain: Titanium Dioxide (CI 77891), Iron Oxides (CI 77491, CI 77492, CI 77499), Synthetic Fluorphlogopite. These are two of my favorite products and I am so glad to see them together again. My years-old round container with these two products is ancient and nearly empty (5 years old? ), so I really need a replacement. 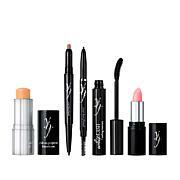 I use the neutralizing creme for spots, eyelids, lips and the illuminating creme for lips and eyelids. Both cremes really enhance your own beauty. This compact will last forever (or another five years?). I love love love BOTH of these cremes and I hope ybf never stops making them! I have been using this for a long time. The consistency is wonderful and it spreads so nicely on the skin. I have had it on auto ship but it appears HSN may not be carrying it anymore. I am so sad to hear this. I havent been able to locate it elsewhere either. Like any good friend would, Stacey Schieffelin shares her personal beauty tips and secret tricks with you so you always look and feel amazing. Along with her know-how, she brings you a comprehensive line of blendable, goof-proof cosmetics that deliver maximum results with minimal effort. A beautiful and confident you is a sure thing…when you’ve got the help of your best friend! Remind me about ybf beauty upcoming shows.